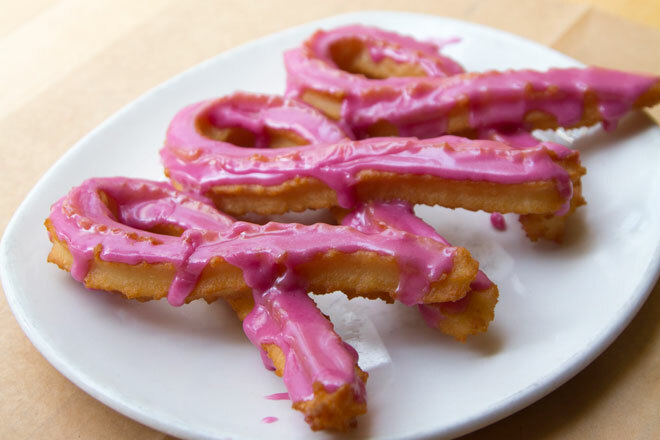 October is National Breast Cancer Awareness Month, and Xoco‘s getting involved: On Thursday, October 16th, both Xoco River North and Xoco Wicker Park will unveil a hot-pink churro. This bright new offering (the color comes from Red Hots) is being sold with one goal: To raise money for breast cancer research. $1 from each sale will go to the Chicago chapter of Susan G. Komen.